Soon to become the Ghosts and Ghouls Mod! Scary! This is my own version of the Ghost Mod, a small mod that adds Ghosts to your game. These are hostile, quick and spawn throughout your world. 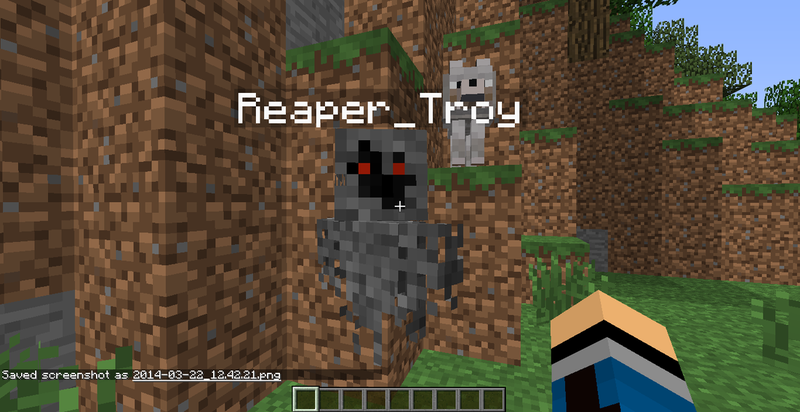 However, ghosts can also spawn when you or a villager dies! On death, Ghosts will also drop Ghost Dust, which (by right-clicking) will temporarily make you invisible! Ghost Dust can also be used to make a Ghost Sword!